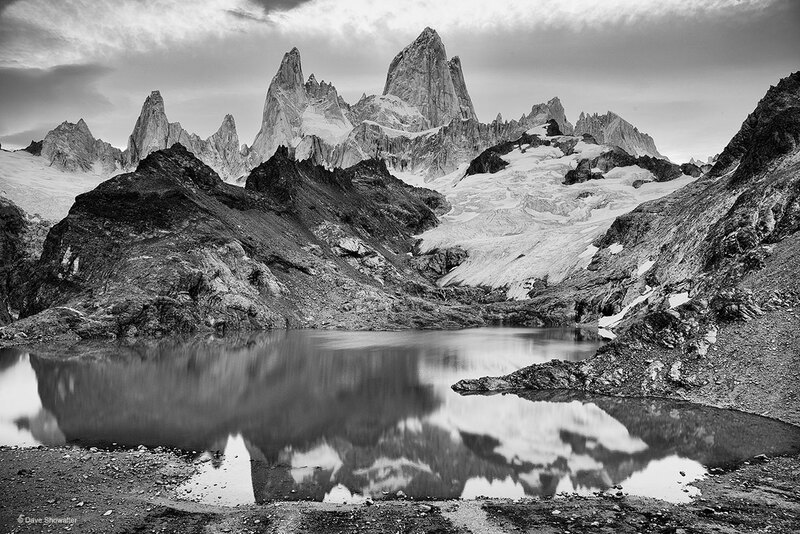 On a rare calm and cloudy morning, Monte Fitz Roy (11,020) and its over 6,000 feet of vertical relief are reflected in Laguna Torre. This most picturesque of landscapes is an icon of the Patagonian Andes and inspiration for the Patagonia logo. Photo © copyright by Dave Showalter.